Do you receive an adequate explanation for the work to be done to your important roof? In some cases, you may feel that, compared with other contractors, we are a little more expensive. But it is because of our material selection, which is unique and distinct from that of other companies. For all the materials we use, including even auxiliary ones such as water-proof sheets for the base and timber to support the roof, we carefully select only the kinds of materials that are guaranteed to be of the highest-grade. The house in which you will live for decades from now does not need any quick fix or temporary material. 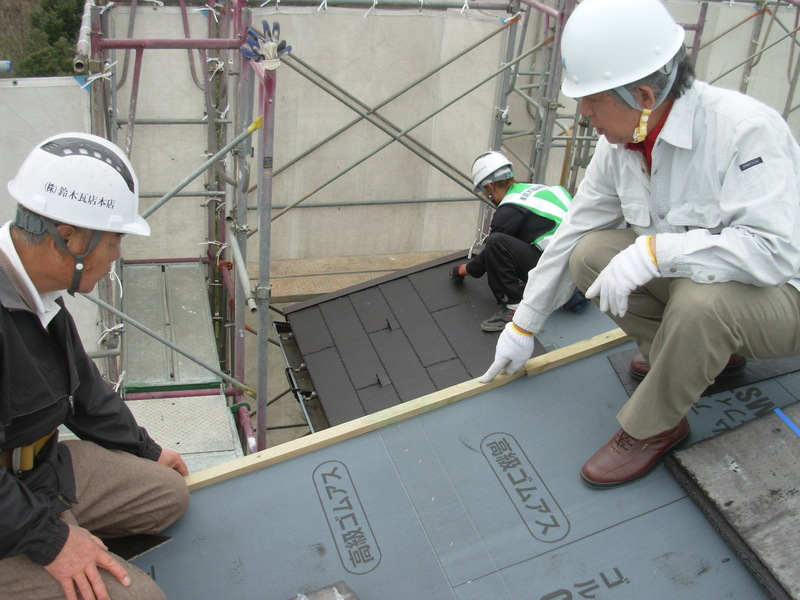 We at Suzuki Roof, in search of the best materials, actually visit production sites to check their materials for ourselves before using them. From the finished roof, no one may be able to tell the difference at a glance. However, after five or so years, differences become apparent. Thus, the difference in materials is extremely important to make your home last longer. We at Suzuki Roof make it our mission to convey the importance of quality materials and support your life in good faith.